Call me crazy, but I love hosting large dinner parties. On any given Sunday, you’ll find 10-16 family members at my dinner table. For these special times together, a delicious dessert is a must. Pineapple Upside Down Cake is easy to make and tastes as good as it looks. When it comes time to clean up, my youngest daughter and her husband are always the first ones to jump up and pitch in. They know how picky I am about what goes in the dishwasher and the pots and pans that need to be washed by hand. 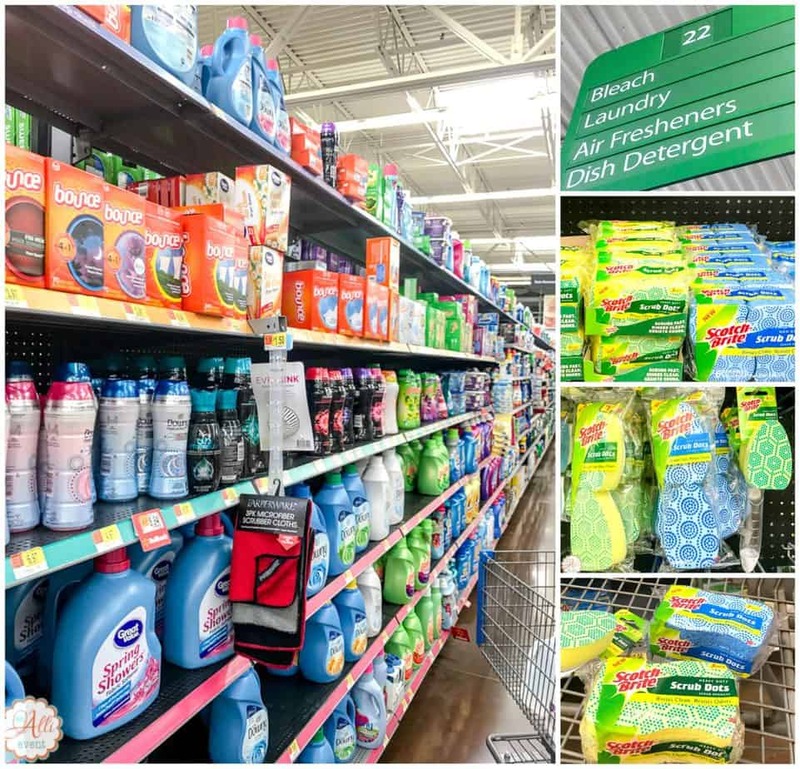 It’s a good thing Walmart has everything I need for a quick and easy cleanup. When I’m buying groceries, I make sure and stop by the Dish Detergent aisle for my favorite Scotch-Brite® Non-Scratch Scrub Dots Sponge. I always grab the blue because it safely cleans all cookware and cleans without scratching. 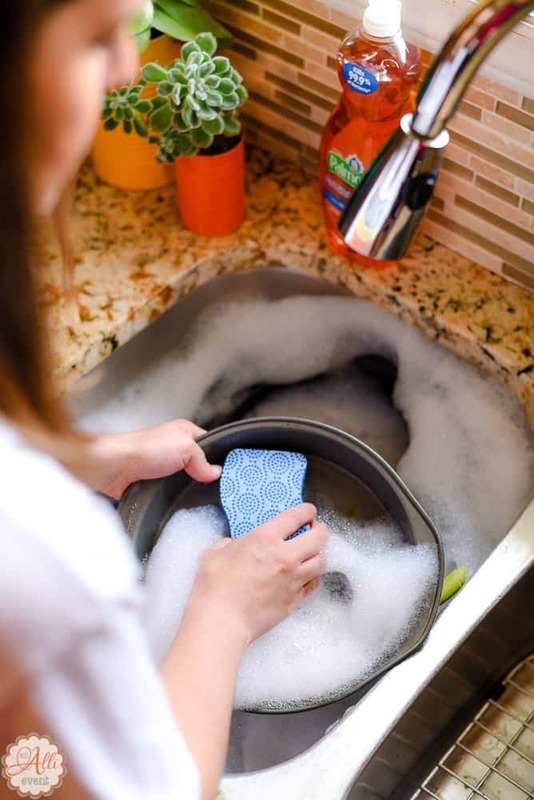 We also use the sponge to clean the cooktop and to quickly wipe down the countertops. Helpful Hint: Save $1.00 off any two Scrub Dot items! Spray a round cake pan with nonstick cooking spray. Stir together melted butter and brown sugar and place in cake pan. 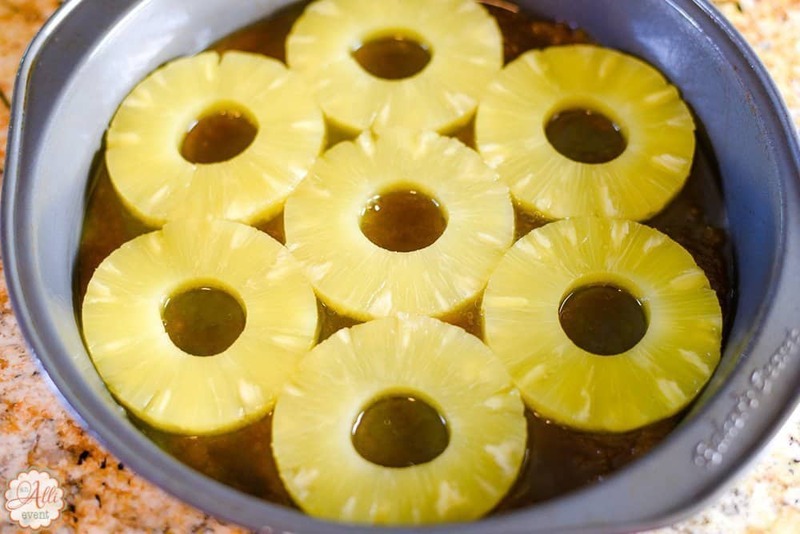 Place drained pineapple slices in a single layer over the brown sugar mixture. Prepare the yellow cake mix according to the direction on the package. Pour cake batter evenly over pineapple. Bake at 350º 25-30 minutes or until a toothpick inserted in the center comes out clean. Cool for 5 minutes. Loosen edges and turn out onto a serving platter. Add an extra egg for a richer taste. Use whole milk instead of water. Use melted butter in place of vegetable oil. Stir in a teaspoon of vanilla (my personal fave). Your guests will never know you used a box mix when you add one or all of these tricks. Spray a 9" round cake pan with cooking spray. Stir the butter and brown sugar together and spread in cake pan. Prepare cake mix according to package directions and pour cake batter evenly over pineapple. Bake for 30 minutes or until a toothpick inserted in center comes out clean. Cool for 5 minutes. Loosen edges and turn out onto a serving platter. 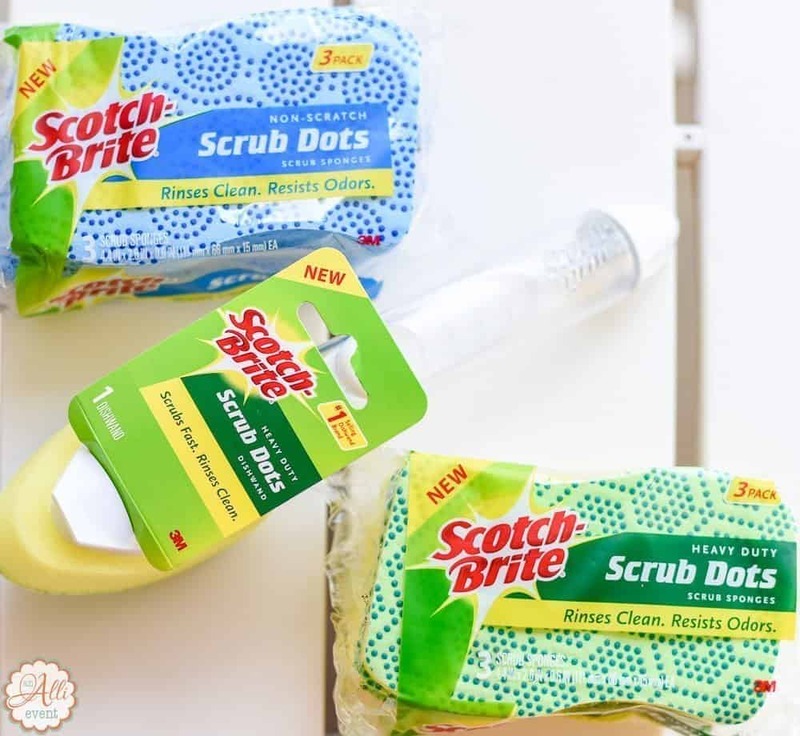 Once dessert is served, cleanup is a breeze, thanks to Scotch-Brite® Scrub Dots. They scrub fast and rinse clean. Before you know it, the dishes are done and it’s time to relax and unwind. I think I’m ready for a Sunday afternoon nap! Who cleans the kitchen at your house? You make THE BEST desserts! My husband and I went on a hot date to BJ’s and I picked up a giant pack of Scotch Brite blue sponges, they’re the only ones I use. Yummy, this looks so tasty. I haven’t had a pineapple upside down cake in ages. I need to make one soon. Pineapples is one of my favorite fruits. I have never tried to make a pineapple upside down cake. I love to bake but haven’t ever made one! I will have to check out those sponges! I haven’t made an upside down pineapple cake is a long time. Great reminder to put this on the baking list. Oh yum! 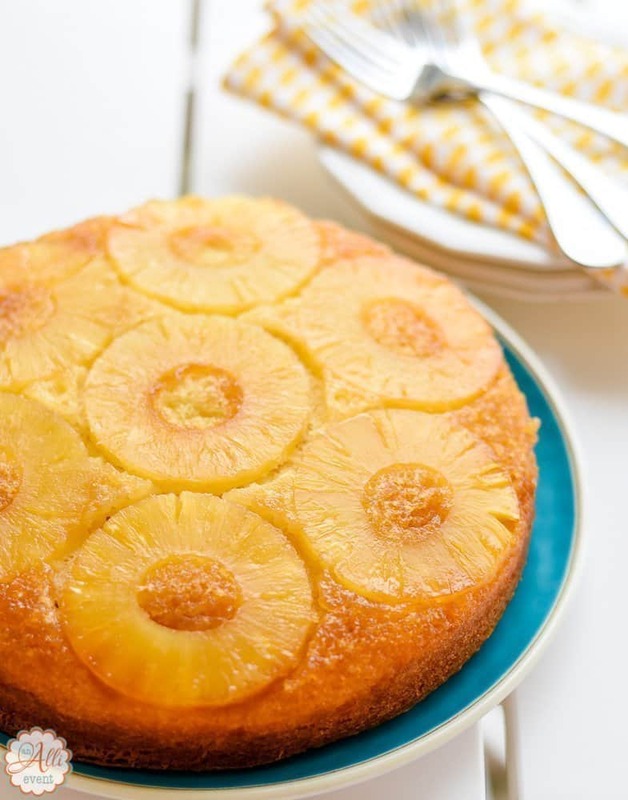 I love a pineapple upside down cake but surprisingly enough – I’ve never fixed one myself! I might have to rectify that! My husband loves pineapple upside down cake but I have never tried to make one myself! I am going to have to make him one this week! Pinapple Upside Down Cake always intrigued me. I often wondered how they made it! This recipe, is a great starting point for me. Thanks for sharing! 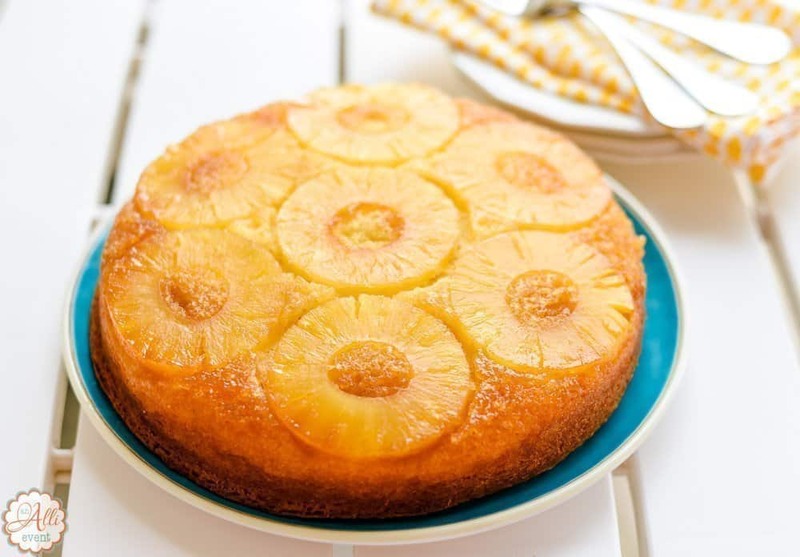 It has been ages since I had pineapple upside down cake and I don’t think I’ve ever tried making my own, I think I’m going to have to give your recipe a try. Pineapple upside down cake is one of my very favorite desserts. 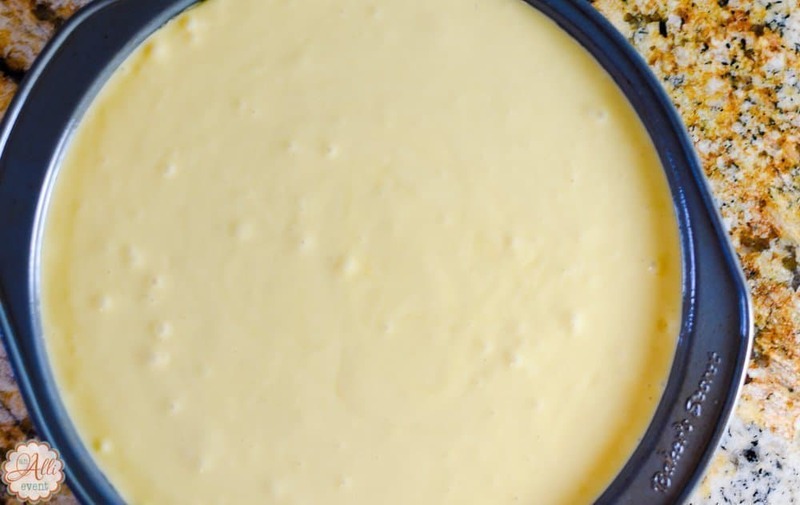 This recipe is so much easier than the one I remember using years ago. I’ll have to try it out. I love pineapple upside down cake. It always looks really fancy too even though it’s not hard at all. I love these scrubbing dots, they work great on my dishes. 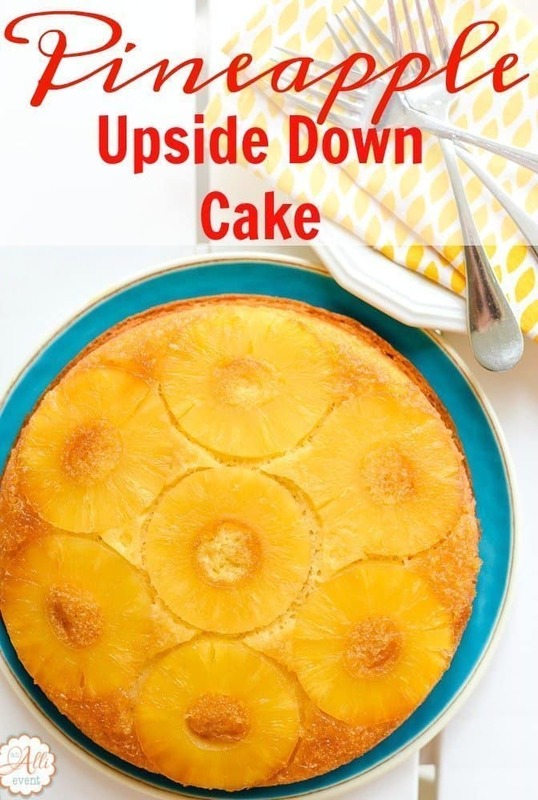 This recipe looks fabulous, I have never made a pineapple upside down cake. You had me at easy! The cake looks great and it also seems like the sticky brown sugar was a cinch to clean with the Scotch Brite sponges. That looks really good. It’s cool that you can use a box mix for it. It ended up looking really pretty! My Mom used to make the BEST Pineapple Upside Down Cake and I cannot for the life of me find her recipe. Yours sounds amazing so I will definitely be trying it!! Your Pineapple Upside Down Cake looks super delicious! We use Scotch-Brite sponges for cleaning too. Have to check out the Non-Scratch Scrub Dots ones too.